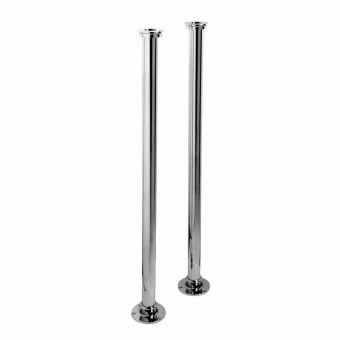 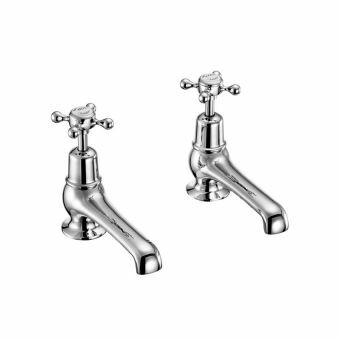 Immediately recognizable as having drawn their inspiration from the classic period of bathroom ware design, these Bath Pillar Taps typify the sophistication found within the Wentworth range. 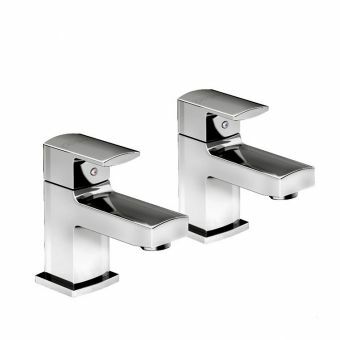 Consisting of two separate outlet pieces, these taps offer a simple and time-honoured approach to creating the perfectly balanced bath. 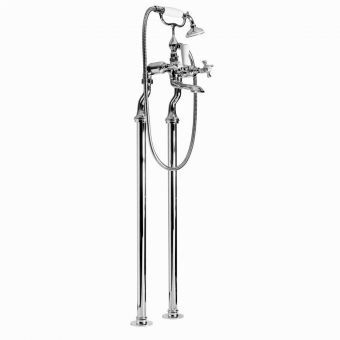 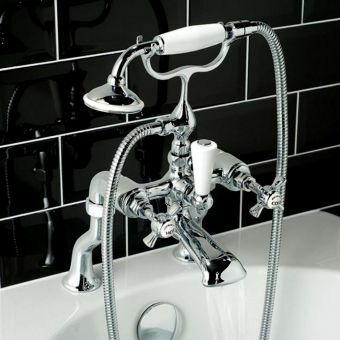 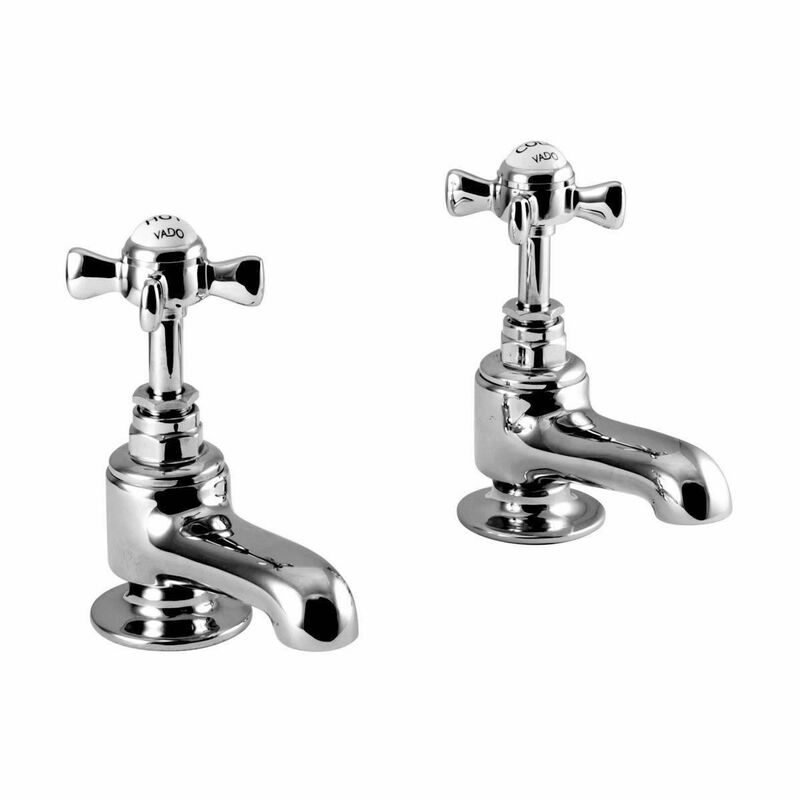 With cruciform valves sitting atop extended spindles, each tap is inlaid with a white ceramic cap and inlaid with period style script to denote hot and cold feeds. 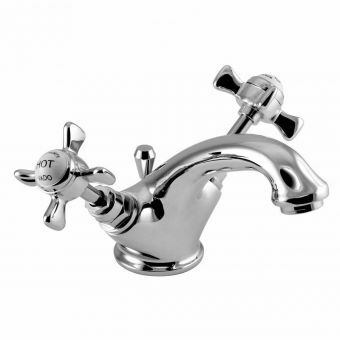 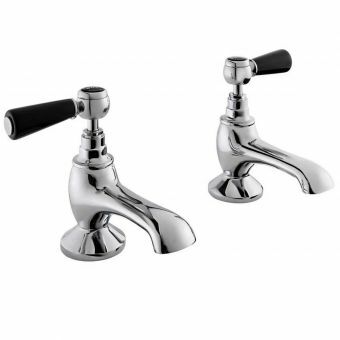 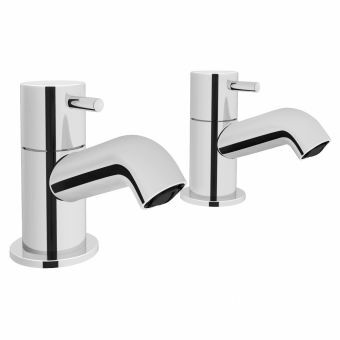 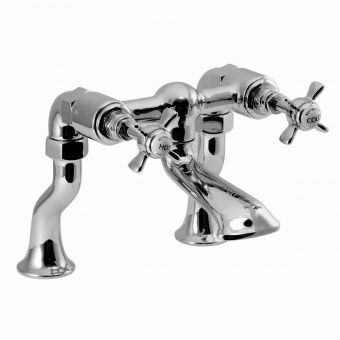 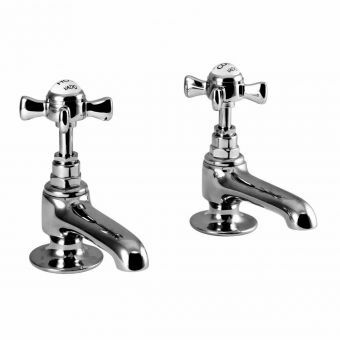 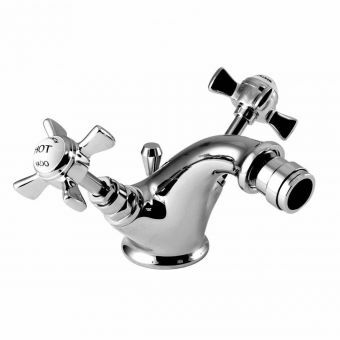 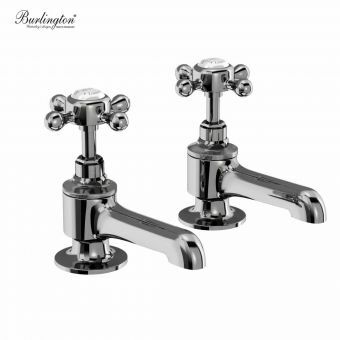 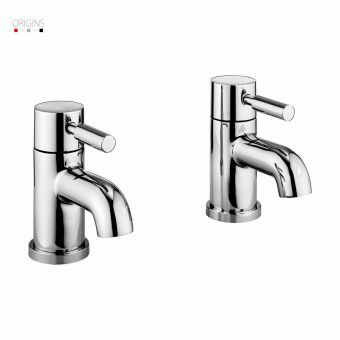 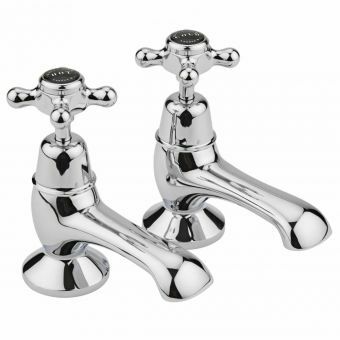 Available with either a neutral chrome finish, or an opulent antique gold finish for those with an eye for vintage glamour, these taps coordinate with a range of design briefs. 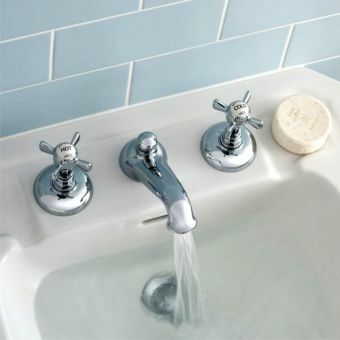 Running at just 0.2 bar and above, these low pressure taps are suitable for use with almost any plumbing.